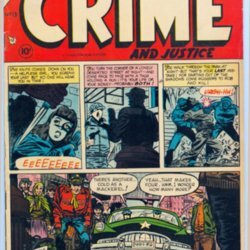 Comic cover featuring a multi-panel story of four murders. 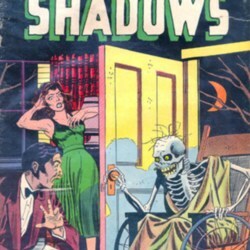 Comic cover portraying a live skeleton returning home, as a man and woman look on in fright. 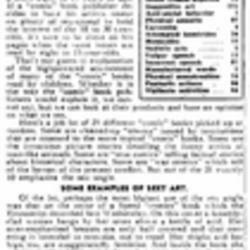 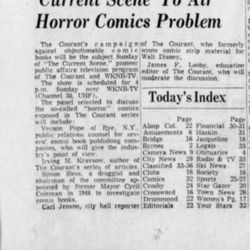 Discusses "The Current Scene" television program, which will include subjects from The Courant's campaign against comics. 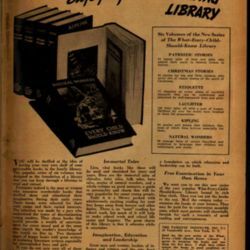 Advertisement directed at children for a volume of books in "The What-Every-Child-Should-Know Library." 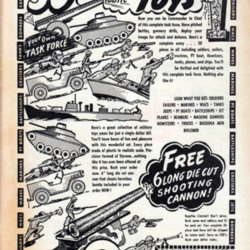 Advertisement aimed at children for a collection of detailed plastic soldiers and weapons. 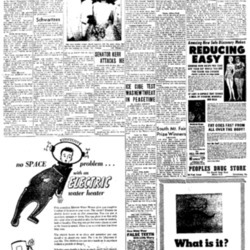 Reader's forum page with a running theme that Crime and Punishment has been a positive educational force in the life of children. 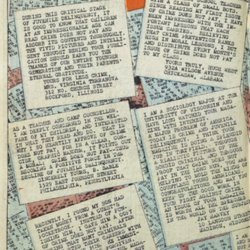 Many images in this book depict idealized childhood innocence. 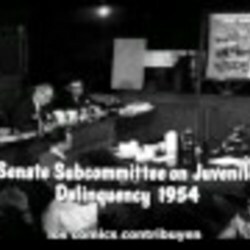 Most of the images feature children away from adults in what can be considered their most natural state.